I always laugh when people think that my kids eat everything that I make. While I strive to make everything family friendly, my kids are just so darned picky that it’s pretty hard to find something that everyone will eat. They don’t tend to love anything overly spiced or super bold. 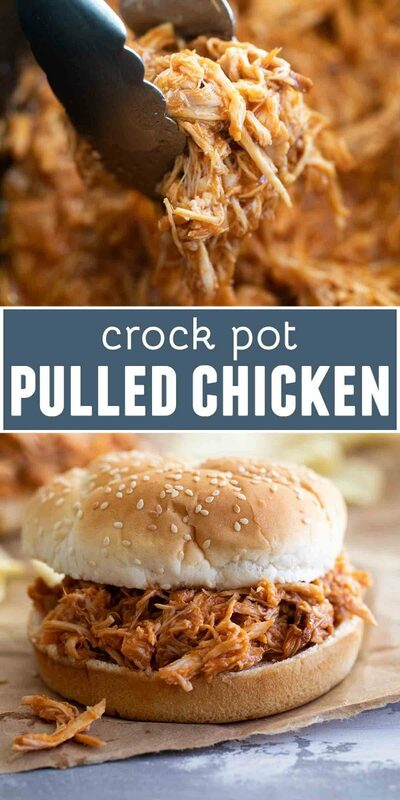 This is one of the reasons I love this Crock Pot Pulled Chicken so much. It is delicious, but still mild enough for any child – even the picky ones. I know a lot of people throw some chicken into the slow cooker and cover it with a bottle of store bought barbecue sauce. 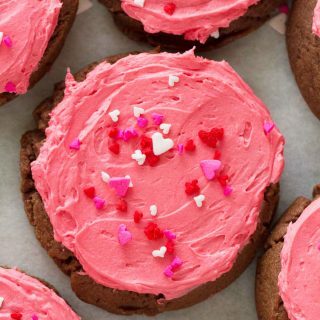 This recipe might take 7 minutes longer than that, but it is so worth it. And really – I keep all of these ingredients on hand, anyway, so why not make it from scratch when you can adjust things to your liking? 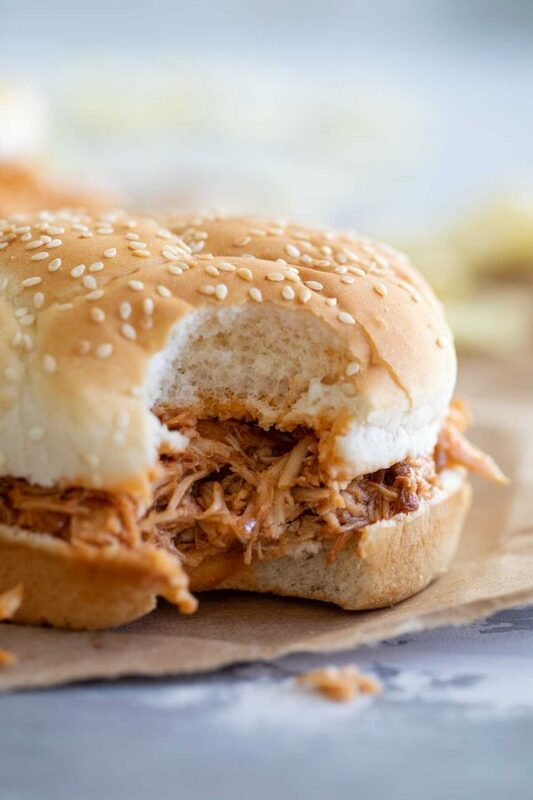 I have mentioned before that I often struggle with the texture of meat made in the slow cooker – especially chicken. Boneless, skinless chicken breasts tend to have a weird texture to me when they are cooked in the crock pot. 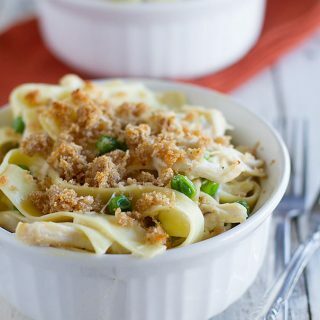 I will often just use chicken thighs, but I love that this recipe has a mixture of chicken breasts and chicken thighs. 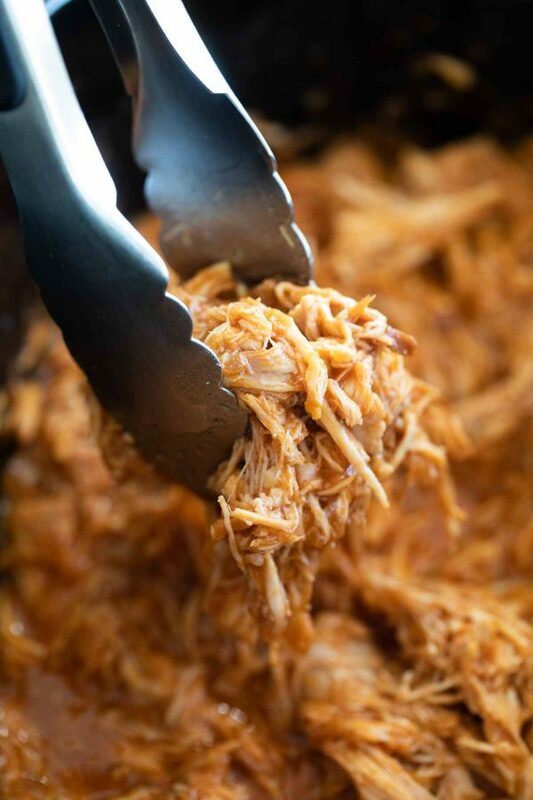 The extra fattiness from the thighs is really needed here, and makes a pulled chicken recipe that is just perfect. I use half chicken breasts and half chicken thighs. You could, of course, use all of one or the other, but I think the texture you get from using the combination is the best. My slow cooker is similar to this one. I love that it has a medium heat setting – a great compromise when you need to cook it a little hotter, but high is too much. 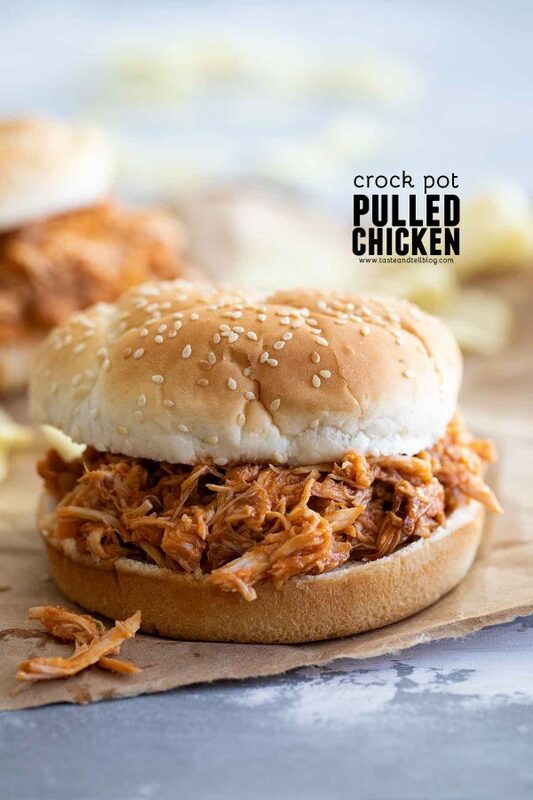 The easiest way to get the chicken from the crock pot to your sandwich is with a pair of tongs. 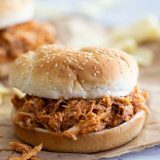 The shredded chicken looks and sounds delicious! 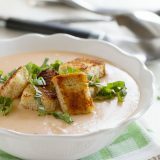 I don't understand why some cookbooks have no pics either, it just adds to it and makes you want to try this dish! Your photos look great! From my understanding it is MUCH more expensive to publish a cookbook with photos…even though those are the ones people want to buy! My dream is to publish and cookbook, so I'm hoping mine has many, many photos! 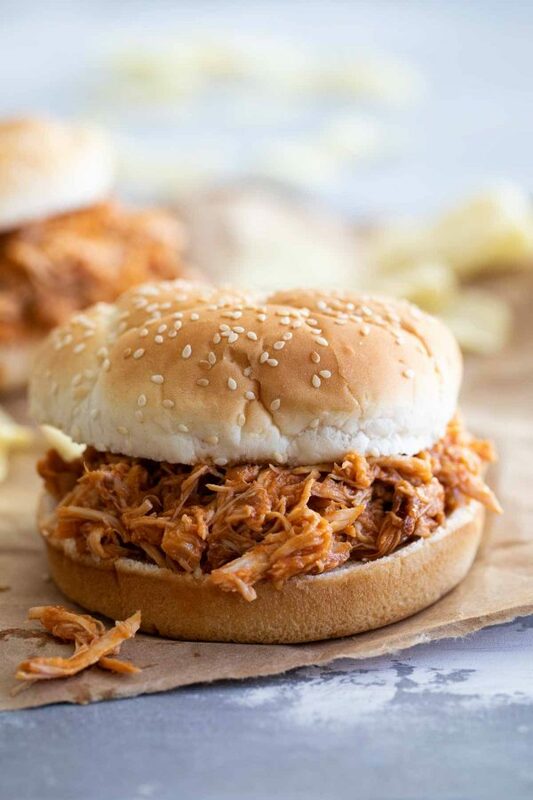 I make similar shredded chicken – but just with chicken breasts, barbecue sauce and some seasonings. Great, easy meal, yum! I have the Not Your Mother's Slow Cooker Cookbook and really like it. 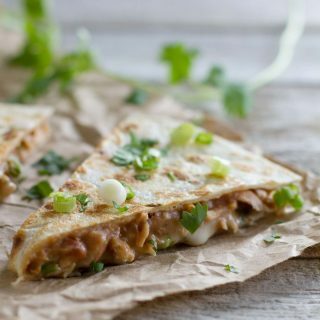 Some of the recipes need a little spicing up, but in general they are quite delicious. Love the sound of that barbecue chicken! I love my slow cooker and use it a lot. I do a similar recipe with either pork or beef. I agree that dumping store bought BBQ sauce over the meat is easy….but it lacks a depth of flavor. 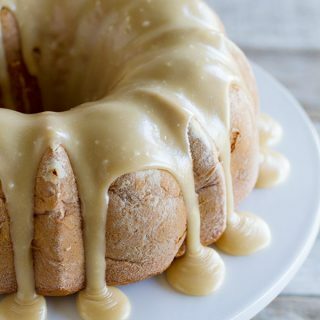 The mix of ingredients in this recipe is similar to what I use and the result is heaven! I like to see photos too! Great round up! don't tell my pork-loving family, but chicken barbecue is my favorite. this seems like a swell cookbook! 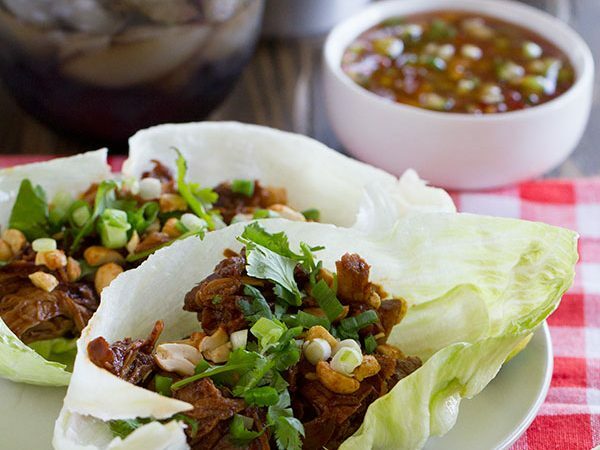 Great roundup of dishes! The barbecue sauce for the chicken sounds great. 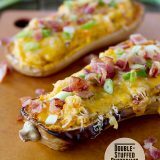 Definitely a great recipe to have on hand. I agree with you about pictures in cookbooks. It's what sells the book as far as I'm concerned. 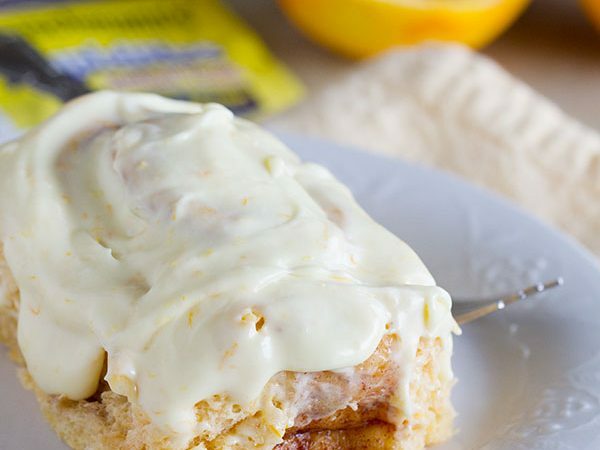 All your dishes look great, esp that cinnamon toast casserole, yum! 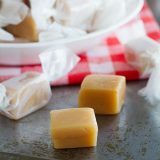 I have a "Not Your Mother's…" and I wasn't a big fan – not that I have a problem with the quality of the food, I'm just morally opposed to any real prep work for a slow cooker meal, and too many of these wanted me to do 20-30 minutes of prep. Just not worth it.